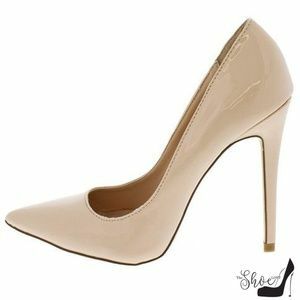 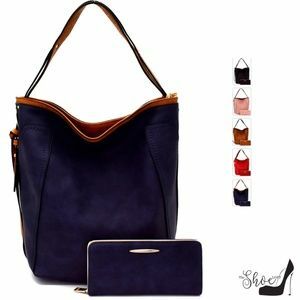 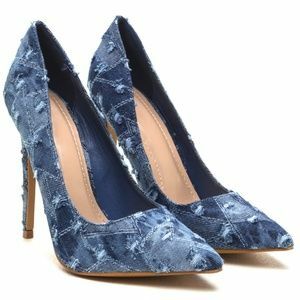 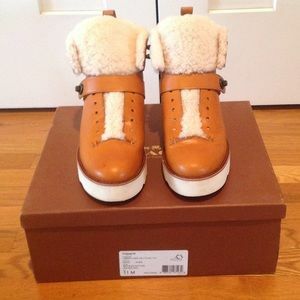 Retail for $375 - Get the celebrity look for less! 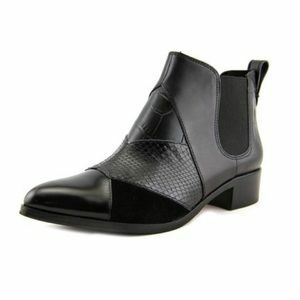 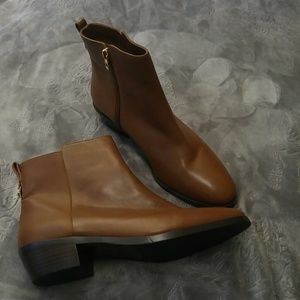 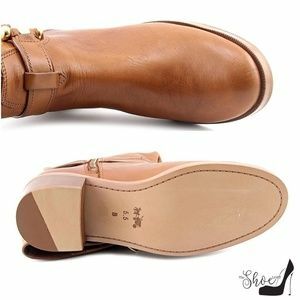 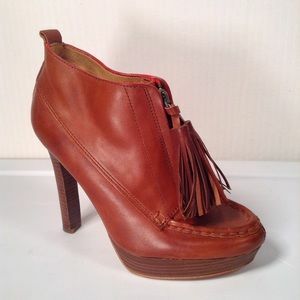 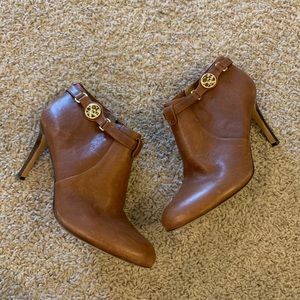 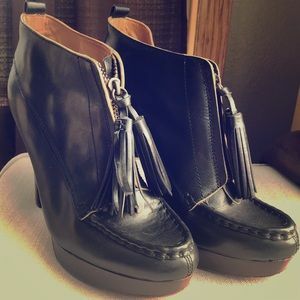 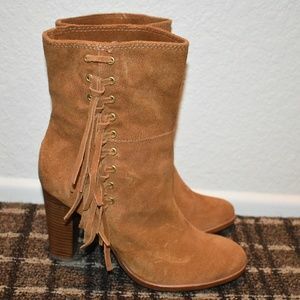 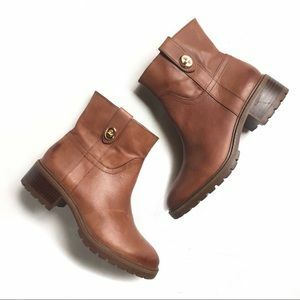 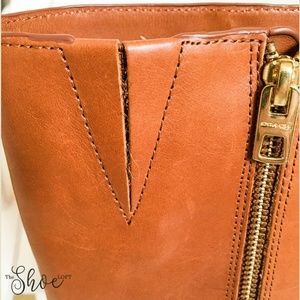 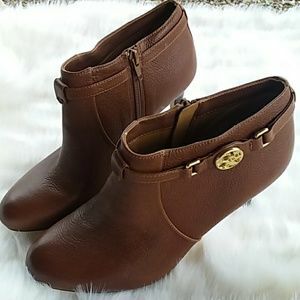 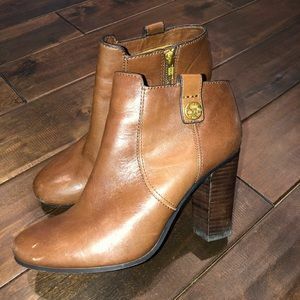 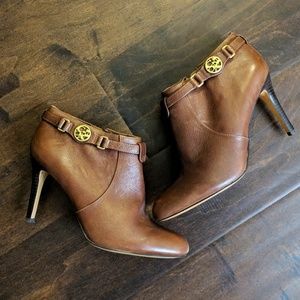 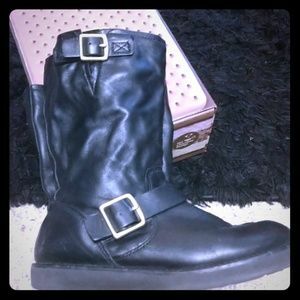 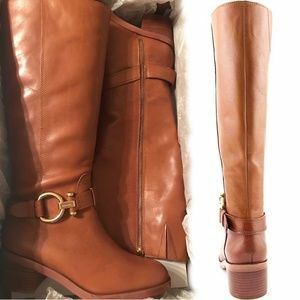 English Tan leather boots are a favorite of: Hayden Panettiere, Blake Lively, Torrie Spelling and more! 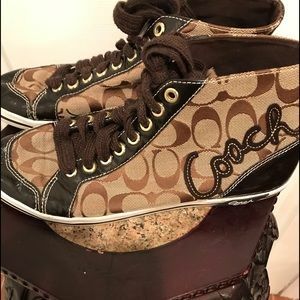 New in box, never worn - perfect for gift-giving. 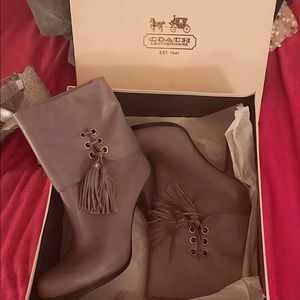 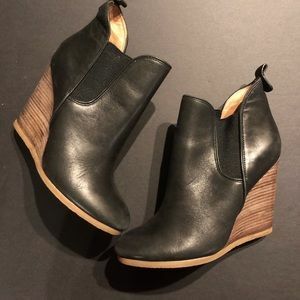 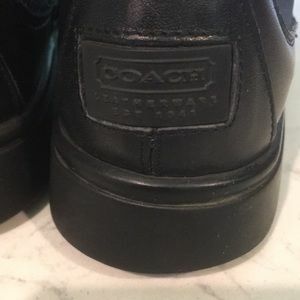 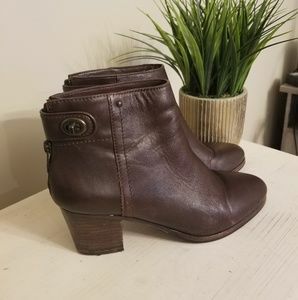 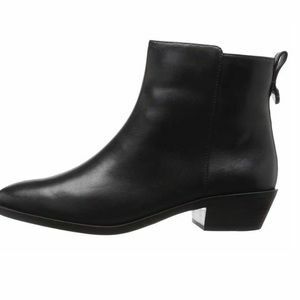 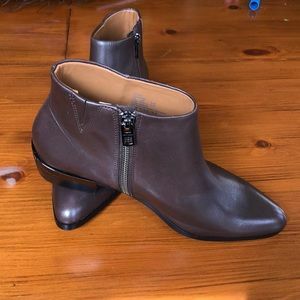 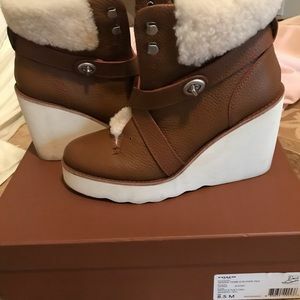 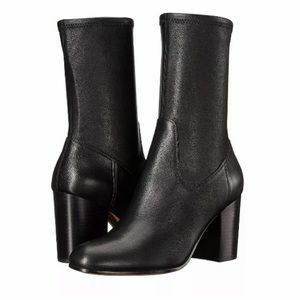 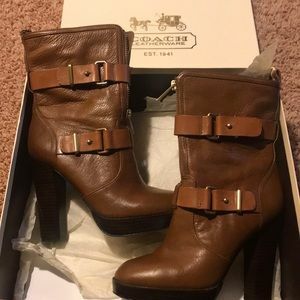 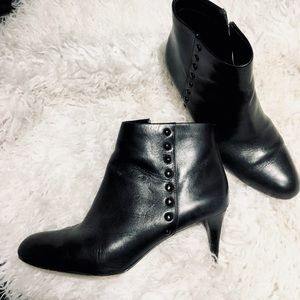 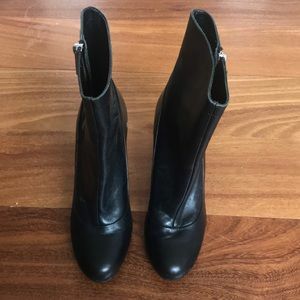 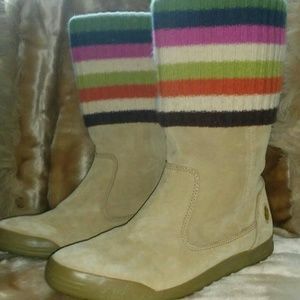 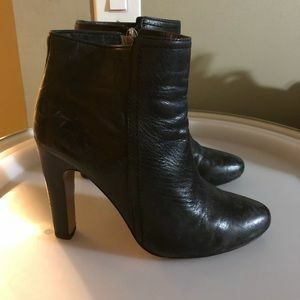 Coach "Carolina" wide calf knee high boots Color: saddle Sole: manmade Closure: pull-on Heel type: block Heel: 2.25" Shoe width: regular Outer: 100% leather Measurements: shaft measures 15" tall, circumference measures 15.5"